***IMPORTANT PLEASE READ BEFORE BIDDING! *** 1. THERE IS NO SHIPPING AVAILABLE FOR THIS AUCTION 2. REMOVAL IS ON SATURDAY, FEBRUARY 23rd from 9am to 1pm 3. LATE PAYMENT FEE $10; TO MEET OUTSIDE OF REMOVAL DATE & TIME $65 FEE Have questions? 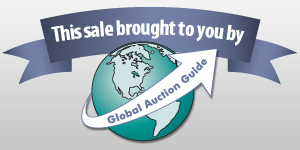 Please call Auction House at (952) 261-4942 before bidding if you have a question that affects your bid. Winning bids are contracts to pay between the high bidder and Auction House on behalf of the consignor: honest bidders only please. Announcement:Information contained herein is presented on behalf of the seller. Auction House , agent for the seller, cannot guarantee the information to be correct or assume the liabilities for errors and omissions. All lines drawn on maps are approximate. Buyers should verify the information to their own satisfaction. Any announcements made from the auction block on day of auction will take precedence over any matter of print and will be final. Black (yellow stock image pictured). The Universal Mount fits most Skid Steers. This unit has the double reinforcement arms (stock picture shows single arms). Stock photo, item may have some small scratches or paint chips. Retail price $2095.Specifications Overall Height 38"Overall Width 120"Overall Depth 30"Working Height 38"Quick Attach Mounting SystemConstruction DetailsPusher Face 1/8" with 1-1/2" x 4" Channel ReinforcementMiddle Face Cross Support 1/8" with 1/8" x 1-1/2" x 6" Channel ReinforcementSides 1/4"Reinforced By 2" x 2" TubeShoes 3/4" x 3"Weight 900 PoundsThere will be a forklift on site to assist in loading. If loading in back of a pickup please bring a pallet. Yellow. The Universal Mount fits most Skid Steers. This unit has the double reinforcement arms (stock photo shows only one arm). Stock photo, item may have some small scratches or paint chips. Retail price $2095.Specifications Overall Height 38"Overall Width 120"Overall Depth 30"Working Height 38"Quick Attach Mounting SystemConstruction DetailsPusher Face 1/8" with 1-1/2" x 4" Channel ReinforcementMiddle Face Cross Support 1/8" with 1/8" x 1-1/2" x 6" Channel ReinforcementSides 1/4"Reinforced By 2" x 2" TubeShoes 3/4" x 3"Weight 900 PoundsThere will be a forklift on site to assist in loading. If loading in back of a pickup please bring a pallet. Yellow. This one has the double reinforcement arms. The Universal Mount fits most Skid Steers. Stock photo, item may have some small scratches or paint chips. Retail price $1895.Specifications Overall Height 38"Overall Width 96"Overall Depth 30"Working Height 38"Quick Attach Mounting SystemConstruction DetailsPusher Face 1/8" with 1-1/2" x 4" Channel ReinforcementMiddle Face Cross Support 1/8" with 1/8" x 1-1/2" x 6" Channel ReinforcementSides 1/4"Reinforced By 2" x 2" TubeShoes 3/4" x 3"Weight 700 PoundsThere will be a forklift on site to assist in loading. If loading in back of a pickup please bring a pallet. Yellow. This one has the double reinforcement arms. The Universal Mount fits most Skid Steers. Stock photo, item may have some small scratches or paint chips. Retail price $1795.Specifications Overall Height 38"Overall Width 84"Overall Depth 30"Working Height 38"Quick Attach Mounting SystemConstruction DetailsPusher Face 1/8" with 1-1/2" x 4" Channel ReinforcementMiddle Face Cross Support 1/8" with 1/8" x 1-1/2" x 6" Channel ReinforcementSides 1/4"Reinforced By 2" x 2" TubeShoes 3/4" x 3"Weight 600 PoundsThere will be a forklift on site to assist in loading. If loading in back of a pickup please bring a pallet. Yellow. This one has the double reinforcement arms. The Universal Mount fits most Skid Steers. Stock photo, item may have some small scratches or paint chips. Retail price $1200.Specifications Overall Height 38"Overall Width 72"Overall Depth 30"Working Height 38"Quick Attach Mounting SystemConstruction DetailsPusher Face 1/8" with 1-1/2" x 4" Channel ReinforcementMiddle Face Cross Support 1/8" with 1/8" x 1-1/2" x 6" Channel ReinforcementSides 1/4"Reinforced By 2" x 2" TubeShoes 3/4" x 3"Weight 550 PoundsThere will be a forklift on site to assist in loading. If loading in back of a pickup please bring a pallet. Brand New 6' Material Bucket. Retail price $1000.Width: 72"Height: 24"Depth: 40"Working Height: 20Quick Attach Plate: 43"Weight: 720 LbsItem may have some small scratches or paint chips. Item is new. Made in Wisconsin. A forklift is available to assist with loading.